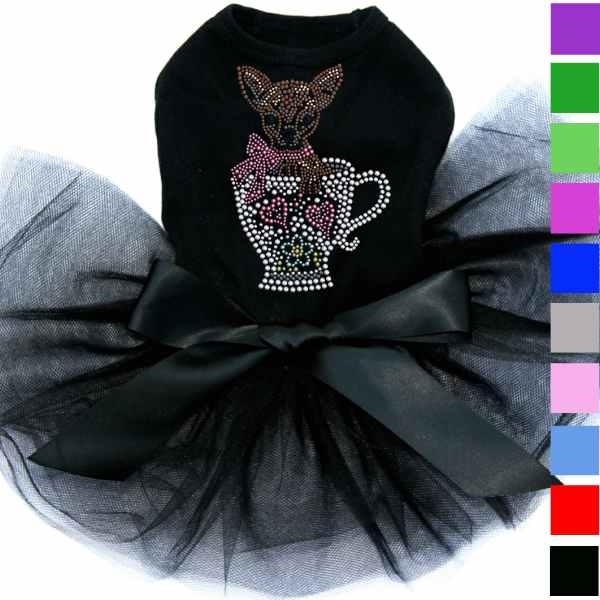 A tutu dog dress for your seriously spoiled Chihuahua featuring a sparkling Chihuahua in a teacup in rhinestuds, a fluffy tutu skirt and a satin bow in your choice of colors. 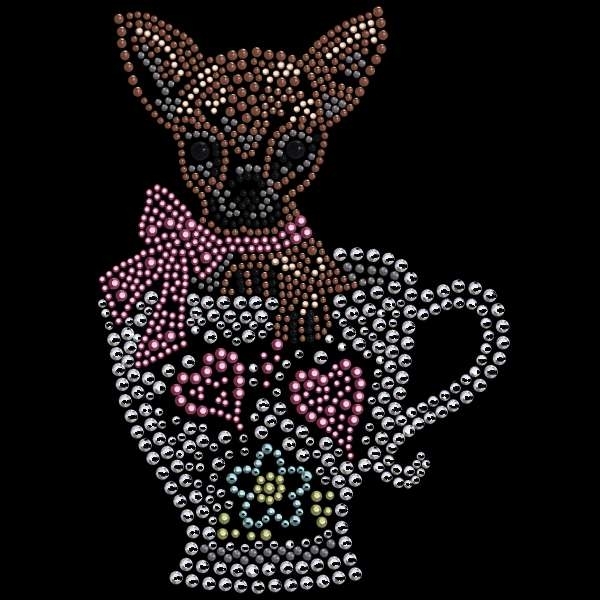 Sizes to fit small to large Chihuahuas. 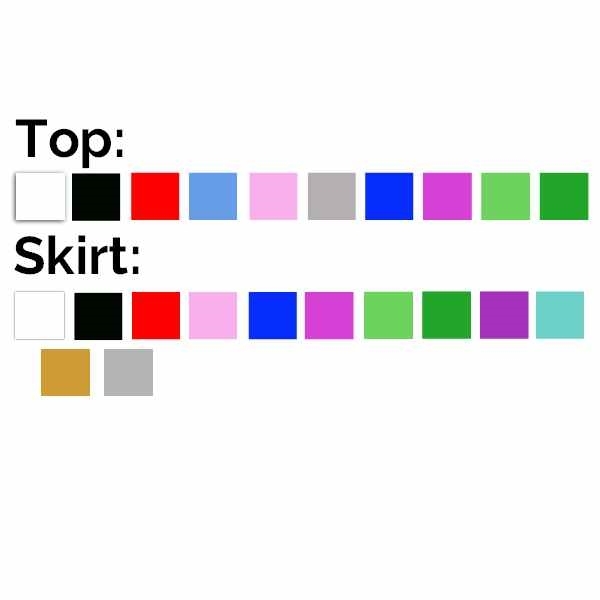 3" X 3" or 4" X 6" design with brown, black, copper, silver, pink, turquoise and green rhinestuds. 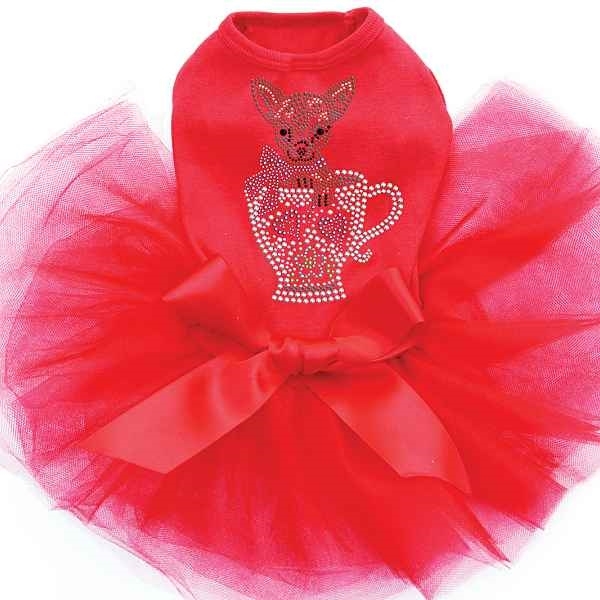 A sparkly tutu dog dress for your seriously spoiled Chihuahua.